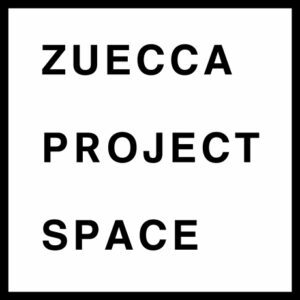 The exhibition “Body in action”, at Spazio Ridotto in Venice, is another collaboration between the Venetian organisation Zuecca Projects and Museion, the Bolzano museum of contemporary art. In May 2016 the video by the Thai artist Korakrit Arunanondchai was presented in the “Bauer Ballroom” of the historical Venetian hotel, in parallel to his solo show in Museion. This time the collaboration revolves around the work of four female artists. 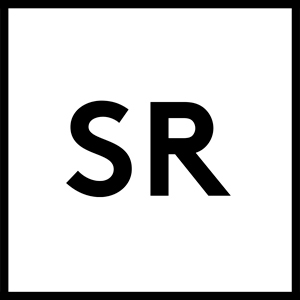 The different aspects of the female body are the focus of the four videos in the show, by the American artist Eleanor Antin, the French artist Lili Reynaud-Dewar, and Sonia Leimer and Ingrid Hora, both Italian and born in South Tyrol. Presenting different scenarios, the works take an ironic approach to issues of identity, gender and the concept of resistance, using make-believe and exploiting ambiguities. The title of the exhibition, “Body in action” evokes the world of fitness, the sort of athletic physique capable of delivering an impressive performance. When applied to the works on display it clearly references the bodies of the artists or those who appear in their videos, interpreting the term “performance” from an artistic point of view. Bodies that take up different positions, shift, move, rotate or play music help to change the perception of the onlooker; becoming bodies that are both active and activator. In the video by Eleanor Antin (New York, 1935) the body in question changes its appearance. The American artist was a pioneer of the art of the 1970s, the era when the body began to play a more important role in art as a means to analyse the relationships between individual and society and break with conventions. The video The King documents the artist’s cross-dressing operation (The King of Solana Beach is a series of photographs that record the performance of the same name). In the work the artist experiments with a different identity, creating an idealised male persona: sporting a fake beard, velvet cape, lace shirt, leather boots, jeans and a wide-brimmed hat, Antin walks around a small town north of San Diego, conversing with the locals. From cross-dressing to cyborg. In the video by Lili Reynaud-Dewar (La Rochelle, France 1975) the artist’s body is covered in silver and on her teeth she is wearing grills (the teeth decorations that are a status symbol in rap and hip hop culture) as she dances through an empty museum. Her movements are inspired by those of Josephine Baker, the first black woman to rise to international fame as a dancer, musician, actress and political activist. Exploring the space using dance and her own body, Reynaud-Dewar treads the fine line between appropriation and vulnerability. The video was created for the exhibition Teeth, Gums, Machines, Future, Society, the artist’s solo show currently on in Museion (until 07/05/2017). Excerpts from Donna Haraway’s 1985 text A Cyborg Manifesto resonate with the sci-fi atmosphere, set to rap and mingled with references to the debate on emancipation and post-colonialism. And this latter aspect is what links Reynaud-Dewar’s dance to the Western soundtrack by Sonia Leimer (Merano, 1977). 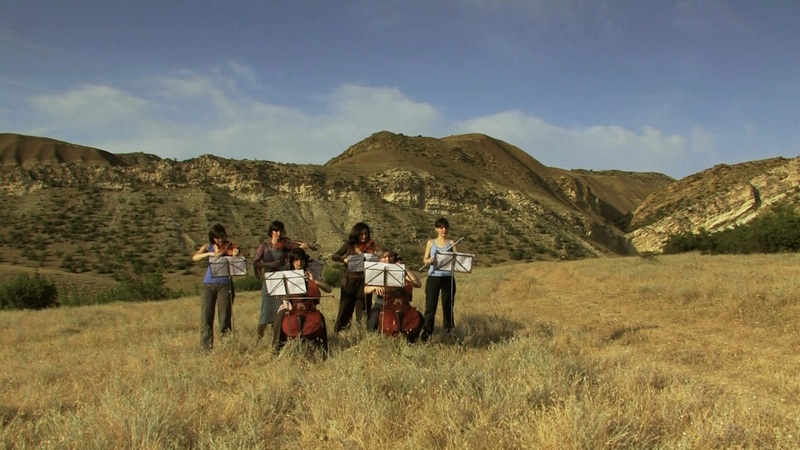 The video Western oscillates between fact and fiction: the camera slowly pans over a landscape reminiscent of Western movies, until it encounters an all-female orchestra playing the famous soundtrack composed by Elmer Bernstein for the film “The Magnificent Seven” (1960) by John Sturges. In actual fact the landscape in question is that of war-torn Georgia, on the dividing line between Europe and Asia: used as the setting for various films, Georgia has come to encapsulate our mental image of the Wild West. The idea of changing perspective that permeates the work of these artists is clearly manifested in the video Die Wende by Ingrid Hora (Bolzano, 1976). The German term (meaning change or turn), refers both to the complete rotation performed underwater by synchronised swimmers, and the changes that took place in society and East German politics after the fall of the Berlin Wall: Die Wende indicates the transition from socialism and planned economy to democracy and capitalism. As often happens in the artist’s works, in this case a profound idea emerges from a situation of apparent normality: the video shows a group of elderly ladies, the members of an East German association, performing a synchronised swimming routine entitled “Die Wende”. Will the ladies succeed in completing their turn?